Hello my lovelies! Another week has passed and I haven't blogged as much as I'd like to. I've been busy and then tired and then I finally managed to get some rest. Of course I did my nails a couple of times but didn't get around to posting anything. Monday Blues is a must though, so I still manage to do at least a post every week. This week's blue manicure is a little weird but the polish is a beautiful one so I think you'll like it anyway. Here we go! I'm not sure if you can see properly but what I did here is some subtle stamping in a triangular form to make it more interesting. The base color is a gorgeous blue that my lovely friend Kinga brought to me as a gift. 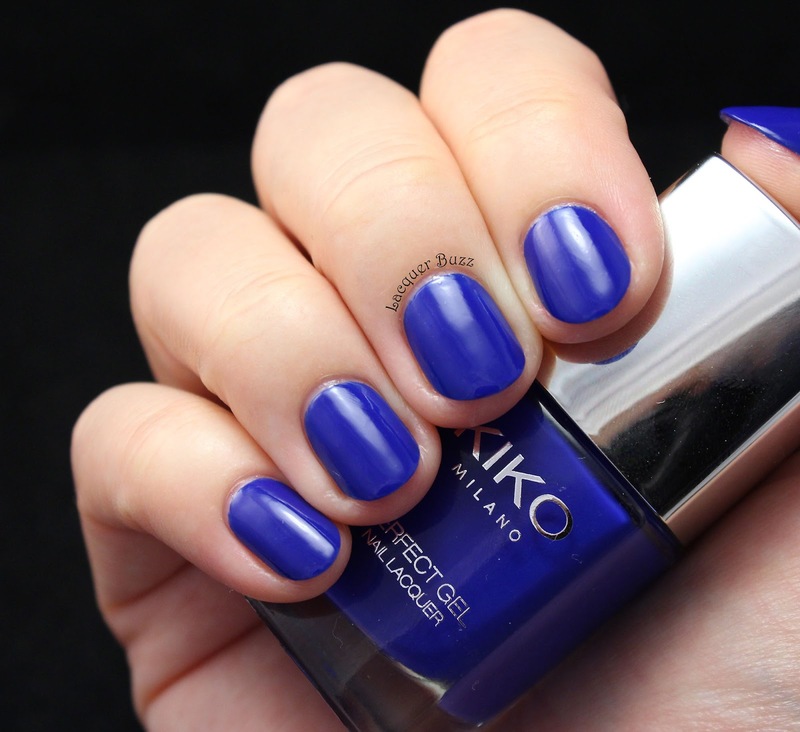 It's one of the new Kiko Perfect Gel colors, one that I've seen in the store but didn't get because I felt guilty buying another blue since I have so many similar ones in my collection. Of course I was very happy when she gave it to me. This polish is number 680 and is simply called Blue. Like all Perfect Gel colors, it comes in a duo with the Perfect Gel top coat. The polish has a lovely formula, on the thicker side and is opaque in two coats. It dries to a very shiny finish. The top coat is also thicker and very shiny. It dries pretty fast, so I would dare say that it's not very different from my trusty Seche Vite. The swatches feature the polish and one coat of top coat on top. 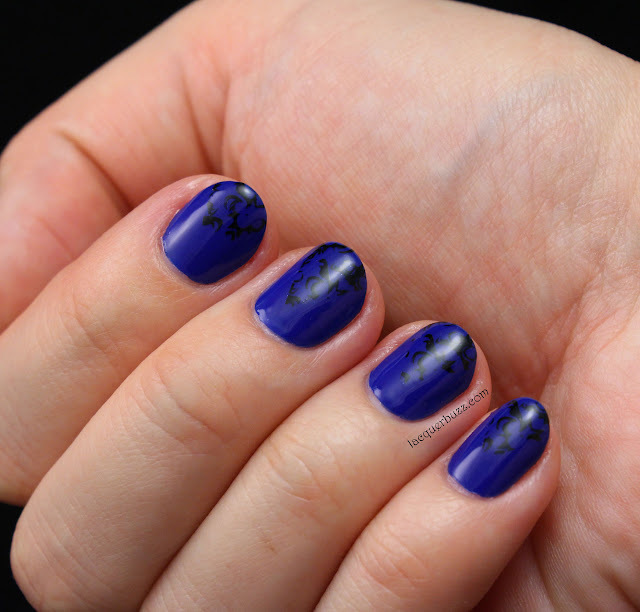 On top of the polish, I used and image from plate BP-L016 from the Born Pretty Store and a black stamping polish that you can find here. 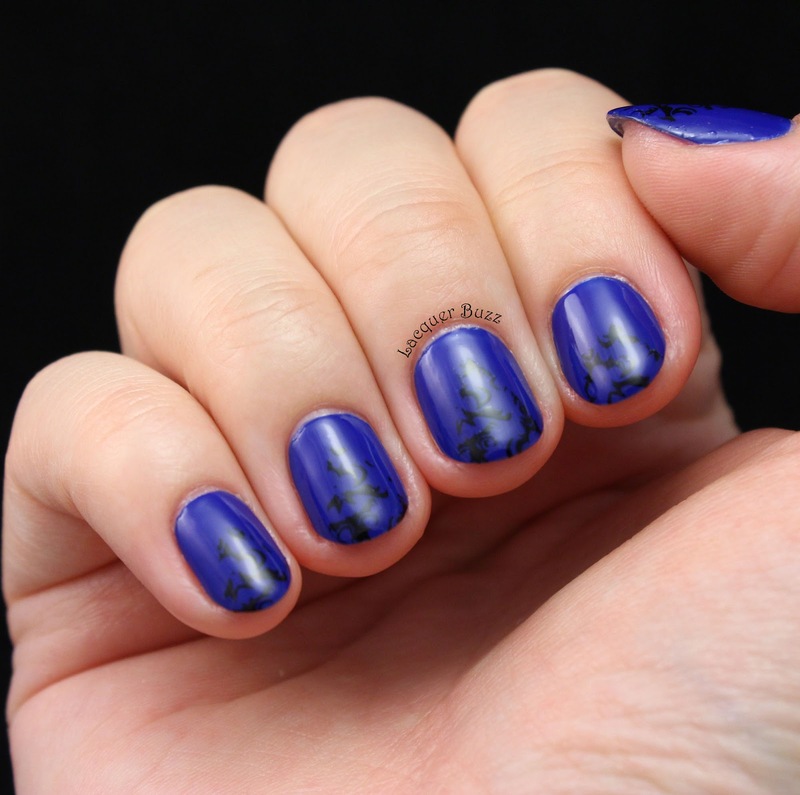 I decided to mask some triangles and stamp them to make the manicure more interesting. The triangles are quite small and the contrast between the stamping and the base color isn't high enough, so the result wasn't what I expected. I decided to post it anyway because the blue is gorgeous. Make sure you check out the rest of the Monday Blues in the links below!